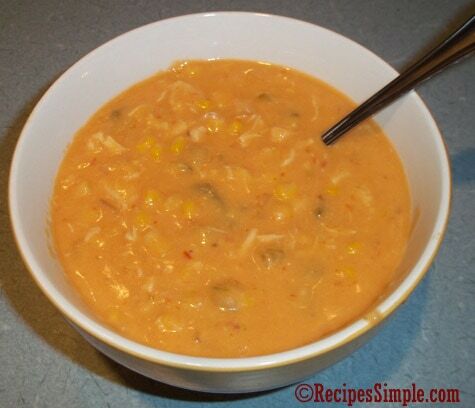 During the fall and winter months we probably serve this creamy Chicken Tortilla soup once a week! It is quick, easy and filling and so good! We like to serve it with tortilla chips and you can add your favorite toppings such as sour cream, Monterey Jack cheese, or green onions. If you prefer mild flavor you can use mild Picante Sauce or Salsa instead of medium. If you like it extra spicy you can use the hot! In medium stockpot add the Picante sauce (or salsa), soup, chicken, corn, beans, water and cumin. Mix well. Cook on medium until soup begins to bubble then reduce the heat to medium-low and simmer for 25 minutes. 5 minutes before serving stir in 1 cup shredded Cheddar cheese. Serve the soup topped with tortilla strips. 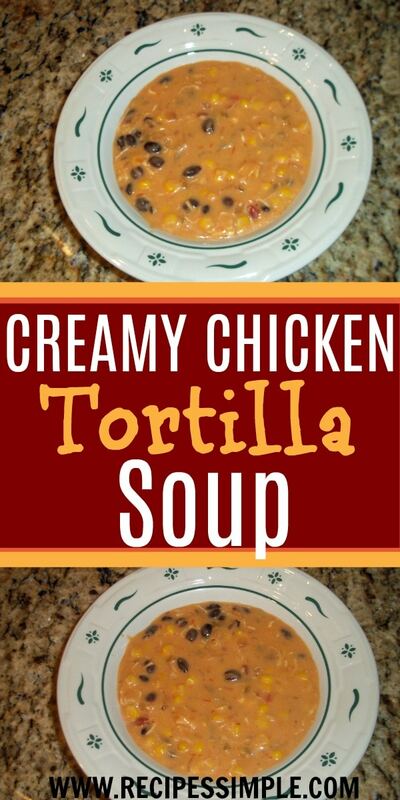 You can also add extra shredded cheese, Avocados, sour cream or jalapeno peppers.